Prayerful Congrats to Msgr. McAndrews who celebrates his 64th Priesthood Anniversary this week! Greetings can be sent to Msgr. at Villa St. Joseph, 1600 Green Ridge Street, Dunmore, PA 18509. Deepest Prayerful Gratitude to each and everyone who gave of their time, talent and faith to create another fine Faith Formation Year! We salute our Graduates with a Graduate’s Blessing at all Masses This weekend. Please Note: Procedural Change – This Weekend, our 2nd Collection will be taken immediately after the 1st Collection. This symbolic change enables all gifts to be brought to the altar at the appropriate time. Thank you for adjusting! Father’s Day Mass Intention Cards & Spiritual Bouquet envelopes are available in our church vestibule and will be prayed for on Father’s Day and designated Masses in June. Thank you for continuing this prayerful tradition of placing the names of our living & deceased fathers, and those who were/are like a father to us, upon the altar. Please return the envelopes by Thursday, June 14th so they may be placed on the altar. Faith Formation Classes are cancelled for this week. As we close out another year of Faith Formation classes, there are many people who deserve our thanks. All of the teachers and aides who volunteer their time and effort to make sure that the children of our parish family are formed in the faith; the members of the parish staff who prepare our meeting areas, receive our mail and direct our phone calls; and most importantly, the parents, who make the effort to bring your children week after week. We are especially grateful to Fr. Jerry, Deacon Frank, Rachel Kester and Toni Shrawder for their support, encouragement, and input. Faith Formation Students can register for next year’s classes on Sunday, June 3rd from 9 to 10AM or Saturday, June 9th from 3 to 4PM. Baptismal Instruction – The next class will be held on Monday, June 4th at 7PM in the church hall. If you are expecting or recently had a baby, please call the rectory office to register for this class. Ministry Schedules for June/July are available for pick-up in the Sacristy and are on our parish website. God may be calling you… to be a Lector, Extraordinary Minister of the Eucharist, Altar Server, Usher, Greeter, or Choir Member. Thanks for answering His call by calling the rectory at 570-779-9620. Meeting for Pastoral Council Members on Thursday, June 14th at 6:30PM in our Church Hall with Mary Anne Malone, our Diocesan Facilitator. 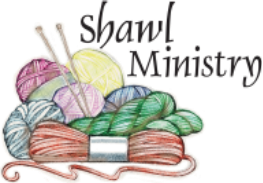 Prayer Shawl Meeting and Work Session will be held on Tuesday, June 5th at 6PM in the church hall. All are invited and welcome to join our ministry. If someone you know needs a prayer shawl please contact the rectory. Your help is needed: 30 Afghans have been made for this year’s bazaar, 20 more are still needed. If you aren’t able to attend a meeting, but want to donate a lap robe, shawl or afghan, please contact the rectory office. Thanks! Pierogies – Pierogie Making resumes this week and will continue thru July 23rd. Please mark your calendars and plan to join the fun of our Pierogie Pinching Parties from 8AM onward. No experience necessary! Pierogie Prep starts at 7:30AM each Sunday before a Pierogie Monday. Volunteers for Sunday & Monday are most welcome & appreciated! * Help Needed to transport pierogies to our Park Freezers for an hour each Pierogie Monday Evenings. Please call the rectory if you are able to help. 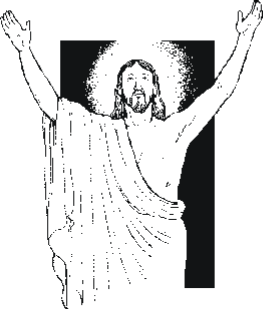 Perhaps this year we could refer to this feast day as “The Blood and Body of Christ,” since the readings we have today use the word “blood” so frequently – eight times to one use of the word “body.” The New Testament authors, when referring to the sacrificial aspect of Jesus’ death on the cross, never refer to him giving his body as a sacrifice for our salvation, but only speak of the shedding of his blood. In both Testaments, it is blood that is the primary source and sign of the covenant between God and people. In our day, while we speak quite a bit about the Mass as a sacrifice, it is a bit of an anomaly that we focus so much (almost exclusively, sometimes) on the symbol of the bread become Body rather than the wine become Blood to give the life of the New Covenant. Here, as in almost every part of life, we would benefit more from living in a “both/and” and not an “either/or” mode.